With a newly landscaped lake and a forest the size of 35 soccer fields, cloudbursts and floods are no longer a worry in Ishøj Landsby. When the railway company Banedanmark offered compensation to Ishøj for altering its forests and land areas to make way for a new railway line, the municipality took the opportunity to create a comprehensive plan for a new nature area. The result is a 26-hectare newly planted forest, Landsbyskoven, and a 30,000 m2 lake located where Banedanmark dug up the soil. 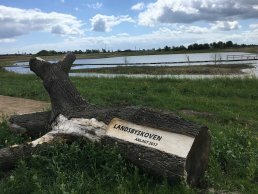 The municipality expects that the new plantation and water feature will help adapt Ishøj Landsby to a future with heavier rain and more unpredictable weather. The newly constructed lake can hold 16,000 m3 of water and features a floodgate which helps regulate the water flow into the nearby brook, Baldersbæk. This addition has increased the capacity of Baldersbæk significantly, meaning that the lake helps prevent flooding both in Ishøj Landsby and in the future industrial and residential areas planned by the municipality. The forest was planted last year, and although the trees have not fully grown yet the trail system can already be used. With over 100,000 trees, the new forest has a number of environmental co-benefits: it will sequester carbon dioxide, increase biodiversity and protect the groundwater. Finally, a five-kilometer recreational trail system demonstrates how climate adaptation projects can create attractive natural areas of benefit to the locals. With a five kilometer long trail system, wooden bridges, lakeside benches and diverse trees, the new area provides optimal conditions for exercise enthusiasts and nature lovers alike. The project has both expanded the public transport infrastructure and enabled climate adaptation and urban development of new industrial and residential areas in Ishøj. The newly constructed lake is a collaboration between Ishøj Municipality, Ishøj Forsyning (utilities) and Banedan- mark, with all parties achieving their goals: a win-win-win project. 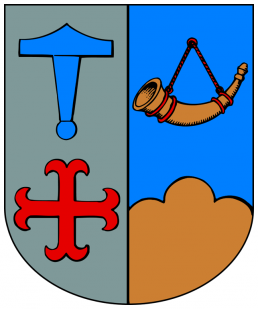 Ishøj Municipality is a municipality in Region Hovedstaden on the island of Zealand in eastern Denmark. The municipality covers 26 km².